These strategies will help you break into this potentially lucrative occupation. Sales careers are perfect for go-getters. Many job seekers wonder: Can I apply to sales jobs that require two years of experience when I don’t actually have two years of experience? Will that immediately disqualify me from the running? Good news! You don’t need experience to kickoff a career in sales. It’s an industry that welcomes go-getters of all types and levels of work experience. You just have to be willing to do the legwork required of newbies. This line of work is alluring for a number of reasons, but primarily for the paychecks. Though incomes can range widely depending on what it is you’re selling, sales jobs can be incredibly lucrative—the top 10% of performers make on average $113,310 a year, the Bureau of Labor Statistics reports. But to break into sales, you’ll still have to follow the right job search and interview tactics. These strategies will help you get there. Regardless of industry, when you lack experience, you should be prepared to take an entry-level job, even if you had a higher position in your former profession, says sales trainer and consultant Marie Warner. In sales particularly, there’s an upshot to this. “You’ll receive valuable training in most entry-level jobs,” says Greta Schulz, president and CEO of Schulz Business SELLutions in Jupiter, Florida. 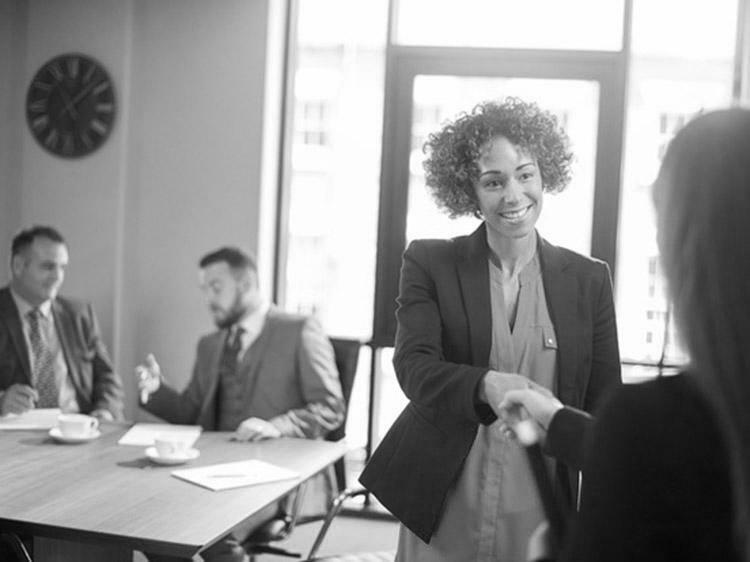 “[Sales managers] want to be able to mold you into the type of salesperson they need.” Therefore, during interviews, express that you’re eager to learn on the job, and that you learn quickly. One of the best ways to find job opportunities is by attending networking events. Interested in selling in a particular field? Go to industry-specific conferences in your area, join professional associations, and connect with prospective sales managers on social media. Building a solid sphere can help you land a job faster. Konrath gives an example of someone with nursing experience applying for sales jobs in pharmaceuticals. But even without such a clear-cut connection, you can lean on soft skills. At its core, sales is about persuasion, so think of a time when you had to convince someone to agree with you, and talk about how you leveraged your people skills, such as leadership, problem solving, and communication. Prepare a few anecdotes to share during the job interview. Another part of being a great salesperson is digging into the customers’ needs and offering them a solution. The job interview is a perfect opportunity for you to do just that. Not only are these questions smart ones to ask from a job-seeker’s perspective, they also demonstrate to a hiring manager that you know how to get information from a potential buyer. A generic resume won’t cut it, says Warner. Make sure your career summary indicates that you’re seeking a sales job in the field you’re interested in. Look to job postings for prominent keywords and incorporate them throughout your resume. Sales managers love a winner, so in your cover letter, make note of select accomplishments you’ve enjoyed in your career. Were you able to create a streamlined process that increased efficiency? Did you develop a training program for new hires? Did you write blog posts that increased the number of visits to the company website by a notable percentage? Tell these types of stories to show you know how to put into action what you learned. Could you use some help putting it all together? Get a free resume evaluation today from the experts at Monster's Resume Writing Service. You'll get detailed feedback in two business days, including a review of your resume's appearance and content, and a prediction of a recruiter's first impression. It’s a quick and easy way to build a resume that clearly outlines why you would be a smash hit at the new job.